I hope that all of you are enjoying your summer and spending lots of time grilling outdoors. Pickling red onions is really simple and doesn’t take that much time. You don’t have to store them for weeks before they are ready for consumption-in fact, they can be eaten right away. I love watching the onions turn from deep purple to a bright pink. 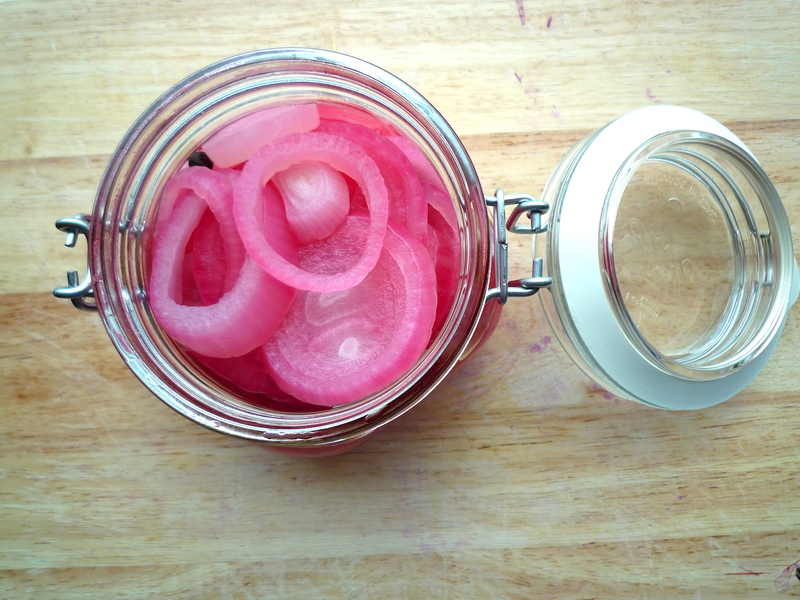 Next time you go to bbq at your friends house, instead of bringing the usual 6-pack or burger buns, I suggest you bring over some pickled red onions. They make the perfect hostess gift for any occasion. I prefer keeping them in these clamp jars, especially if you are bringing them to an outdoor event. Although mason jars look nice, I think it’s easier to get in and out of these jars rather than dealing with a mason jar’s multi-part lid. I have been playing around with the vinegar-to-sugar ratio because I prefer my onions a little more on the tart side. If you do like them sweeter, feel free to add more sugar. 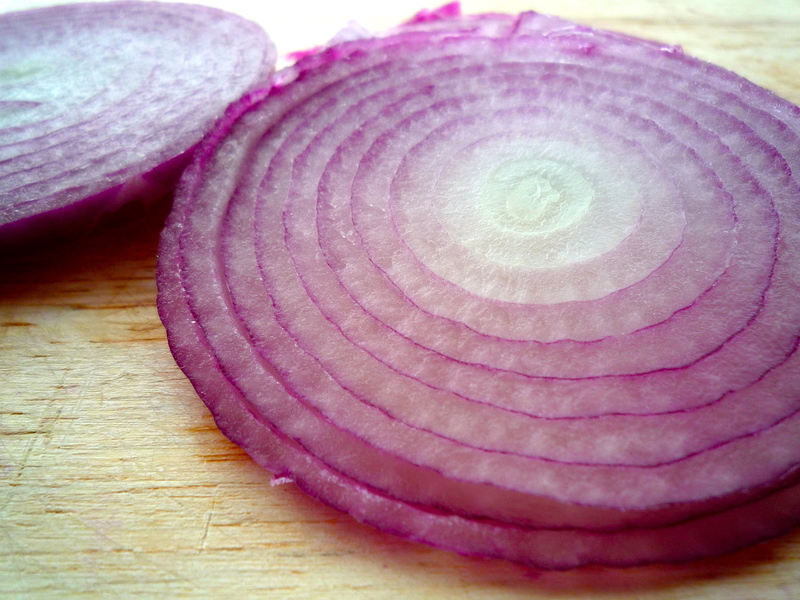 Thinly slice two large red onions. Set aside. 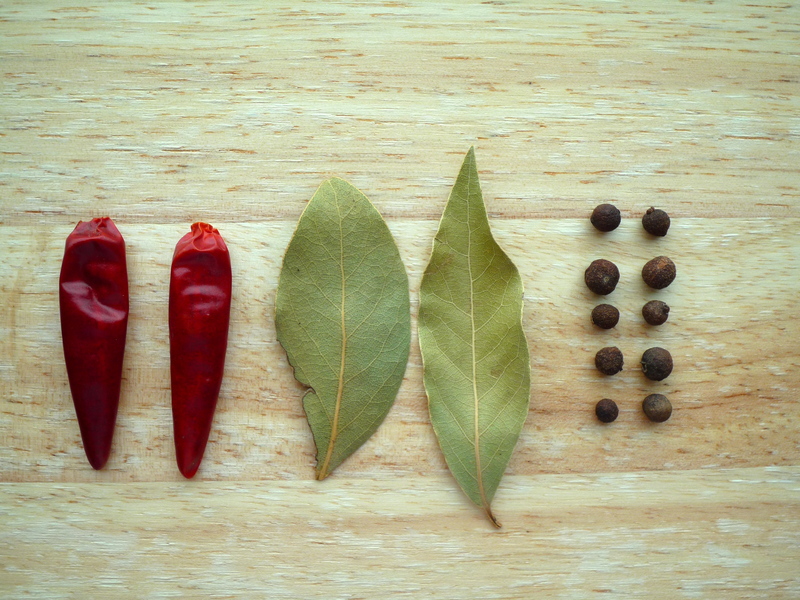 Combine 1 1/2” cups vinegar, 4 tablespoons of sugar, 2 dried chilies, 10 allspice berries, 2 bay leaves. Bring mixture to a boil in a large, flat pot.When mixture is boiling, add onion slices and reduce heat, simmering onions for about a minute. Move onions around and make sure they are evenly cooked. When onions are a bright pink color, remove pan from heat and let cool completely. 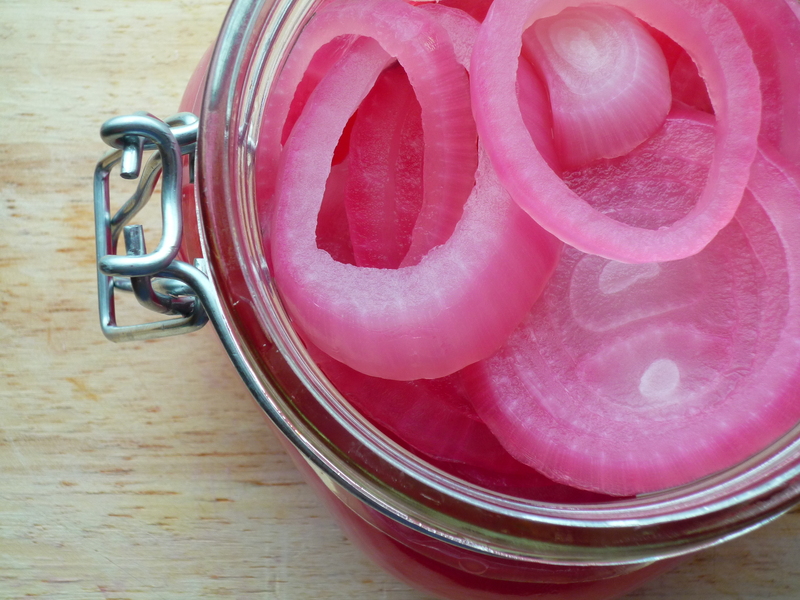 There are lots of uses for pickled red onions. You can eat them on simple steak tacos: grill steaks, slice up, serve on corn tortillas. You can also put them on top of your burgers. I like the combination of savory red meat with the like tartness and texture of the onions. Or, if you don’t eat red meat (silly decision) they work nicely with grilled fish tacos. My sincerest apologies dear readers for being such a horrible blogger these days. I just don’t know where the past week has gone! I feel like this recipe is too Sandra Lee for me to post, but I am going to do it anyways. The truth is that I was going to make a hoisin sauce from scratch, but alas I didn’t have all of the ingredients in my pantry. I broke down and bought pre-made hoisin sauce (I know, I know). So, not only I have I been a bad blogger lately, but a lazy one at that. The highlight of these lettuce wraps is really the summer squash. They are basically the reason I made lettuce wraps in the first place. It’s officially summer which means I have been spending quite a bit of time outdoors, staying out a tad too late on work nights, and truly enjoying all of the goodies at the farmer’s market. I picked up these vibrant little squash for $1.25!! I wasn’t sure what I was going to make with them, but I brought them home anyways. Then I remembered one of the main ingredients in my favorite lettuce wraps from Phillipe is yellow squash. It was decided. These little squash were going to be turned into lettuce wraps. I also had some basil on hand (left over from the spaghetti), so I figured instead of making pesto like I had originally planned I would use it for the wraps. Dice squash into small-ish pieces. Set aside. Rinse chicken, remove any excess fat, and pat dry. Coat in hoisin sauce. Brown on both sides in pan on medium heat and continue to cook on low heat until cooked all the way thru, about 20 minutes. Remove from pan and let rest/cool. While chicken is resting, put yellow squash in pan and cook on low until centers become soft. While squash is cooking, dice up chicken into small bite-size pieces. Place chicken back in pan and cook squash and chicken together. Don’t let them cook too long-you don’t want the chicken to over cook, just until the two ingredients cook together. Remove from heat and fold in chopped basil. Plate in large bowl and serve with lettuce leaves. So, it looks like I owe you a hoisin sauce and more regular posts….